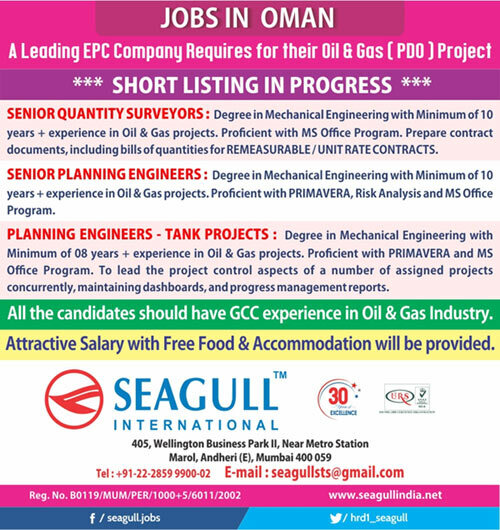 SENIOR QUANTITY SURVEYORS: Degree in Mechanical Engineering with minimum of 10+ years experience in Oil & Gas projects. Proficient with MS Office program. Prepare contract documents, including bills of quantities for ‘Remeasurable/Unit Rate Contracts’. SENIOR PLANNING ENGINEERS: Degree in Mechanical Engineering with minimum 10+ years of experience in Oil & Gas projects. Proficient with ‘PRIMAVERA’, Risk Analysis and MS Office Program. 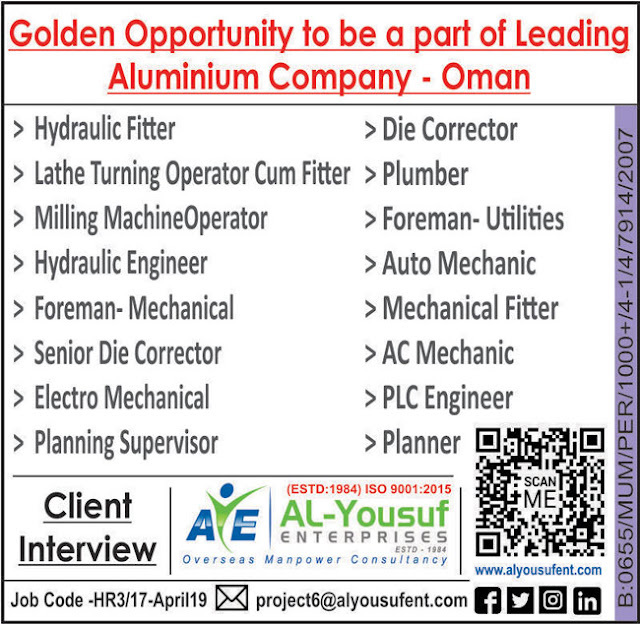 PLANNING ENGINEERS - TANK PROJECTS: Degree in Mechanical Engineering with minimum of 08+ Years experience in Oil & Gas Projects. Proficient with ‘PRIMAVERA’ and MS Office Program. To lead the project control aspects of a number of assigned projects concurrently, maintaining dashboards and progress management reports. 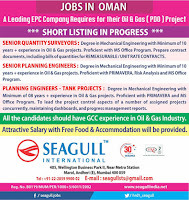 All the candidates should have GCC experience in Oil & Gas Industry. Attractive salary with Free Food & Accomodation will be provided.